Pellet Stoves Are Efficient and Green, But Should You Buy? 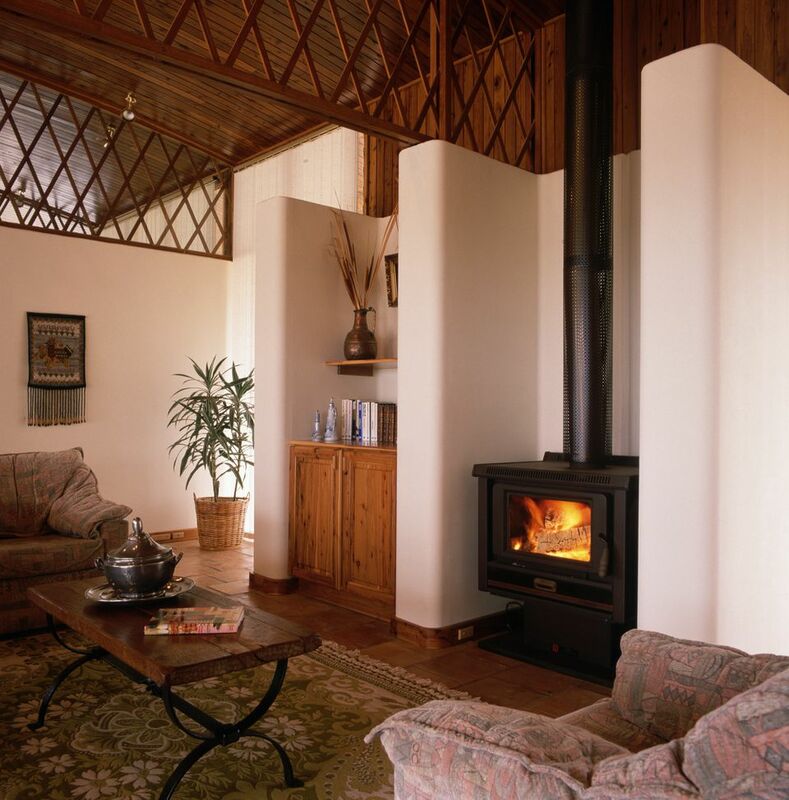 The concept of heating your home with a woodburning stove seems pretty archaic, but pellet stoves burn recycled material at a low combustion rate, making them a sustainable option to stay warm. Rather than burning chunks of wood, a pellet stove creates warmth by burning small wood pellets, which burn efficiently because they are so dense. They are a recycled byproduct of sawmills or made of corn, so they are certainly a sustainable alternative to cutting down trees. Pellet stoves don't take up a lot of space; they are much more compact than their old-time counterparts. Some companies even produce modern and sleek pellet stove designs. A small flame is visible in the center of the unit, which provides a room with a warm and cozy glow. If you prefer a more traditional look, find a unit with a large viewing glass and add ceramic logs to emphasize the flames and make your stove look more like a traditional wood-burning stove. The motor runs on electricity, so it should be located near a 110-volt outlet. Others operate on battery backup units. Pellet stoves may be purchased as inserts that connect to your home's duct system and heat the whole house in place of your traditional furnace. Other freestanding versions blow hot air directly into the room by means of a fan, supplementing your normal heater. Top-Feed: To operate a top-fed stove, you pour the pellets into a hopper, and they travel down a chute into the stove. This construction prevents debris from burning back into the hopper, but the combustion chamber is more likely to become clogged with ash and "clinkers." To prevent this, you should purchase high-grade pellets that contain low ash. Bottom-Feed: Bottom-fed models don't require as high quality of a pellet as the ash and clinkers are easily pushed where they belong, into the ash pan. However, they aren't quite as efficient as the top-fed option. A drawback of either type of pellet stoves is their complexity; they have a lot of moving parts and may need to be serviced often. Make sure you purchase a stove with a long warranty and consider a service contract. Pellet stoves are measured by their heating capacity, in BTUs (British Thermal Units) Most range between 8,000-90,000 BTUs, and choosing the right size will depend on the area you need to heat as well as a few other factors. Speak with a reputable dealer to help you make the right choice. If you enjoy building and tending to fires, you may be satisfied with a manually adjustable model, However, if you are willing to spend more money for a hands-off approach, some models feature electronic controls that monitor burning conditions and self-adjust. Other special features including an air wash system that keeps the viewing glass clean from the inside. Still, you'll likely have to perform regularly weekly maintenance yourself, such as removing ash. Freestanding pellet stoves may cost less than $2,000 or over $3,000, depending on the size and features you choose (don't forget the purchase may qualify for a tax credit!). Installation costs range from $300 to $500. Before you decide on a pellet stove, check the availability and cost of the pellets themselves so you can calculate your annual operating expenses. Within a few years, the unit should pay for itself, proving a more sustainable way to heat your home than a furnace or traditional wood burning stove.